The RFS 4000 802.11n Integrated Services Controller is designed to provide any branch office or remote facility with high performance, comprehensive, cost-effective and secure wireless and wired networking services. No matter what the networking needs are in your branch offices, the RFS 4000 delivers rich voice support including Voice over WLAN (VoWLAN) now, Fixed Mobile Convergence (FMC) and IP PBX in the future; rich video support including video conferencing and video surveillance; multiple locationing technologies such as Wi-Fi and RFID; plus support for multiple RF technologies, including future technologies such as Wi-MAX. The RFS4000 is the only product in its class that offers dual band access concurrent with Mesh services as well as gap free security with 24x7 Wireless Intrusion Protection System (IPS). Improve business process flow with one platform for wireless voice, video, data and multiple RF technologies - such as RFID, Wi-Fi (including 802.11n) and future technologies such as Wi-MAX; rich enterprise class functionality includes seamless roaming across L2/L3 deployments, resilient failover capabilities, comprehensive security, toll-quality voice and other value-added services, such as multi-RF locationing. Provides rich locationing services to enable real-time enterprise asset-tracking through support for 802.11, RFID and third party locationing solutions - including industry leaders such as AeroScout, Ekahau, and Newbury Networks. Standards-based support for: EPC Global ALE interface for processing and filtering data from all active and passive tags; and EPC Global LLRP interface for passive RFID tag support. Protects against attacks between: Wired and Wired; Wired and Wireless; Wireless and Wired; Wireless and Wireless. Multi-mode rogue AP detection and Rogue AP Containment,802.11n Rogue Detection, Ad-Hoc Network Detection, Denial of Service Protection against wireless attacks, detect de-auth from Broadcast Source MAC, detect frames with invalid sequence number, client blacklisting, excessive authentication/associations; excessive probes; excessive disassociation/deauthentications; excessive decryption errors; excessive authentication failures; excessive 802.11 replay; excessive crypto IV failures( TKIP/CCMP replay), Suspicious AP, Authorized device in Adhoc mode, Unauthorized AP using authorized SSID, EAP flood, Fake AP flood, ID theft, Adhoc advertising authorized SSID. Ensures optimized network performance by preventing flooding of the broadcast domain. Supports 6 AP300 802.11 a/b/g for L2 or L3 Deployments per switch and 72 802.11a/b/g AP300s per cluster. Supports 6 AP-5131 802.11 a/b/g or AP-7131 802.11 a/b/g/n Adaptive Access Points per Switch and 72 per cluster. 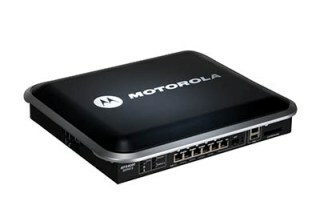 For detailed support on how to manage and configure the Motorola RFS4000 switch please go to this page.